This idea has been merged into another idea. To comment or vote on this idea, please visit Make Opportunity Contact Role a First Class Object. Want the ability to add in Title to the Opportunity Contact Roles related list, currently the layout isn't editable. 3/30/12 - Changed title to "Customize Contact Roles"
2/24/15 - Changed title to "Customize Contact Roles - Accounts & Opportunities"
10/25/16 - Changed title to "Customize Opportunity Contact Roles"
Despite the naming each of the Contact Roles features is separate -- Account Contact Roles, Case Contact Roles, Contract Contact Roles and Opportunity Contact Roles. There are no plans on the current roadmap to make Opportunity Contact Roles, Case Contact Roles or Contract Contact Roles customizable. Since the original idea content and the majority of the comments have been in relationship to Opportunity Contact Roles we have updated the title of the idea to reflect this. Contacts to Multiple Accounts is not applicable, and may conflict with, organziations with HEDA. The result of the Opportunity Contact Roles not being configurable is that the Account Name field displays the Administrative Account of the contact, and the user cannot see the Business Organziation of the contact. The ability to customize this is critical for HEDA enabled orgs. Our org relies heavily on Opportunity Contact Roles. We have many Accounts that partner on a single job. We need custom capabilities on Contact Roles to properly track all our data per-Opportunity. We require similar customization with Partners as well. I would like to define my own role titles that reflect my company, crossing my fingerst this is a future option; thanks to whoever got this thread started. 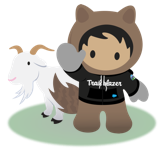 The ability to customize the fields in the Opportunity Contact Roles related list seems like such basic functionality, yet Salesforce hasn't even commented on this topic in two years. Come on, help a commnity out! Currently, the opportunity has the "Account" field in it. If you're in an opportunity, generally you know which customer it is. However, with multiple stakeholders, sometimes it's not as easy to remember everyone's role/title. That would be more useful information on that screen. Or better, have the ability to customize these fields. Please get this done. Should work similarly to other pages that can be customized. Contract Roles really does not seem that well thought througth by Saleforce - make it customisable, problem solved. You need to be able to see the contact role title in the specific opportunity. This column needs to be added or we should be able to customize the contact layout in opportunities to include this. Without it, it makes the sales person have to do extra steps to see roles and customize an email to them. This is a basic essential part of sales. Having a mobile number displayed is a basic requirment for most service industries as the mobile is the primary contact detail. Hey everyone here, seeing that this action is not yet planned, I decided to add a new idea related to just adding a Contact Title column to the Contact Roles section here: https://success.salesforce.com/ideaView?id=0873A0000003UIVQA2 (or search for Insert Contact Title Column in Contact Roles). I see that there are some others on this thread that are concerned with this specific issue as well, so please come and vote for this to get at least this one piece changed for everyone! Within the contact roles section of an opportunity, one of my desires (needs) is to add one column that contains the contact's title. Account name is important, but with several members of an account attached to any opportunity, having their title quickly accessible would be extremely helpful. Please add the one column! This is a requirement for my company. We need to "stamp" the contact role with a historical account at time of creation, in case the contact moves on to another company later. This would be helpful. We would like to see Title and also Department. Having to navigate to the contact to get the contact details is an unnecessary step... be nice to have this area customisable so we can show contact details on the Contact Roles area. After all, that's what it's for, right?